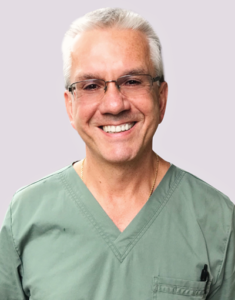 Some of our clinical procedures will be performed by Dr. Andrey Lutskovsky. Dr. Lutskovsky received his medical degree upon graduation from Kharkov Medical University in the Ukraine in 1987. After graduation, he worked for six years as a general and trauma surgeon. In 2004, he earned his Doctor of Osteopathic Medicine (DO) degree from the New York College of Osteopathic Medicine. Platelet Rich Plasma is used to rejuvenate your skin and provide a younger look through the repair of tissues and collagen formation. Blood is taken from a vein and spun in a centrifuge, to isolate the platelets and the plasma. Growth factors found in the plasma activate multi-potent stem cells which are already present in the skin. This leads to the development of new collagen, which in turn, repairs and rejuvenates the skin. For maximum results, we recommend 3-4 treatments done 2 months apart. Thread Lifting is a non-surgical, no scar face lift performed using tiny threads. Multi-strand threads used are made of synthetic-material absorbable sterile surgical suture composed of Polydioxanone, which performs a role as scaffolds helping cells to attach. Your body starts to produce new bundles of collagen which surround each thread and this in turn creates a subtle yet effective lift. Filler injections are used widely in aesthetic medicine, but are usually made of harmful chemicals and potential toxins. We provide a safe, effective and all-natural alternative by only making filler gel from the patient’s own blood plasma. Some of the procedures that Dr. Kopolovic will be offering at Terra Salon and Spa are Botox, fillers, Sculptra, which works with your body to revitalize collagen production, helping to restore your skin's inner structure. Dysport, an injection used to temporarily improve the look of moderate to severe frown lines without changing the look of your whole face. The untreated facial muscles will still work normally, allowing you to freely show facial expressions. Dr. Kopolovic also offers Restylane Silk, with its refined smooth gel formulation that allows for more subtle results for your lips.